Technosylva has been providing advanced wildfire and forestry products & services for decision makers around the world. We provide our customers with efficient solutions for land management, based on the application and knowledge of innovative techniques and geospatial analysis tools. Providing services worldwide, with a local flavor. With offices in California and Spain, Technosylva provides GIS-based solutions for wildland fire protection planning, analysis & modeling, and operational response. Founded in 1997, we have a rich legacy of providing forest and wildfire management consulting services worldwide. Over the past 15 years our staff has been collaborating with wildfire management agencies across the globe to develop industry leading software and tools, including our incident, dispatching and resource tracking software – fiResponse™ and our real-time wildfire analysis, behavior and simulation tool – Wildfire Analyst™. Our flagship products, fiResponse™ and Wildfire Analyst™, have been developed through years of applied use by emergency response professionals. Proven and robust, our software will provide you the key information you need to make critical decisions – quickly and efficiently. Timely performance and seamless integration are the foundation of our products. Giving clients the tools they need to succeed. 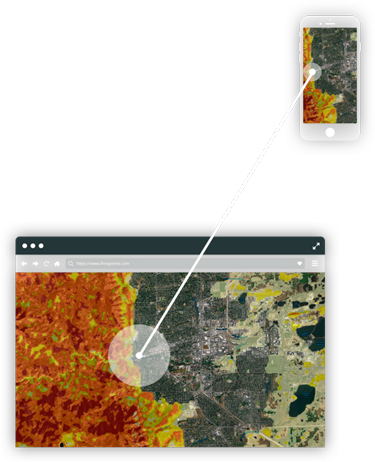 At Technosylva, we complement our software products with seasoned consulting services for wildfire analysis and modeling, fuels mapping, wildfire risk assessment, and encapsulating our models into custom web and mobile applications development. We pride ourselves in providing world-class wildland fire subject matter expertise coupled with leading edge technology. To do this we maintain close relationships with the world’s leading wildfire scientists and agencies, regularly collaborate with our partners to support industry research and service our client’s needs.